Joe and his partner cleaned the ducts in my old midtown Toronto home this fall. I could not be more pleased with their professionalism and service. We doubt the ducts had ever been cleaned before, and Joe was honest about their condition, showing the before and after and ensuring future access for cleaning would be easy. Thanks guys! Thank your for taking the time to review us. We appreciate your business and hope you have a safe and happy holiday. We will look forward to seeing you again in 3-5 years. Thank you. Joe. 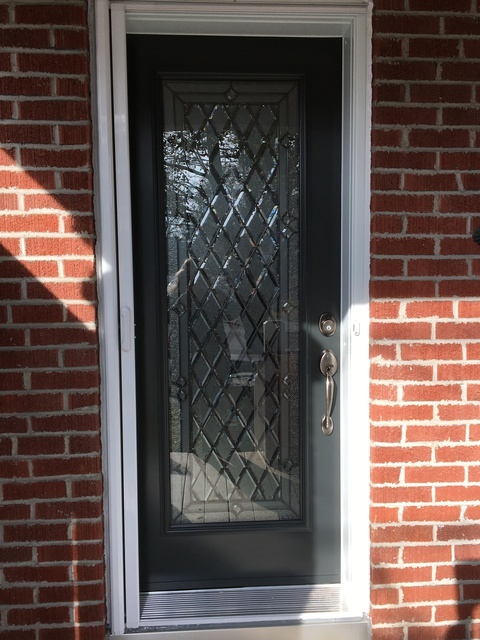 I recently had a Doorplex door installed by Home Depot and couldn’t be more pleased with the result! I was first impressed with the initial in-home consultant (Mike) who met me at the show room and explained materials and options. When the time came to install, the team was professional, personable and kept the area clean. They even managed to complete the job in less time than what was estimated. Thanks all! Nichola Burgess I’d recommend the company any time! Hi Nichola, thank you so much for leaving a wonderful review! The new door looks fantastic! We look forward to working with you again in the future.